adapted to the needs of the learners and teaching situations! Nowadays we all recognise that there is no specific way of learning, but rather there are different types of learners and teaching methods. Consequently, trainers need to adapt the curricula to these different settings. Learning activities are no longer only related to the traditional face-to-face classroom training, and trainers should accept that learning is a continuous process. It goes through many stages and can take place in different ways as long as they are relevant to the trainers’ abilities and the learners’ needs. Technology is changing the way our society works. It offers us new opportunities and gives us access to sources we could have never imagined before. Unfortunately, our education system is not flexible enough to apply all these free opportunities. In most of the cases it is very hard for trainers to adapt their teaching plans to their learners’ needs. Many trainers find they do not have the necessary skills or time to adapt material to different methods of learning. 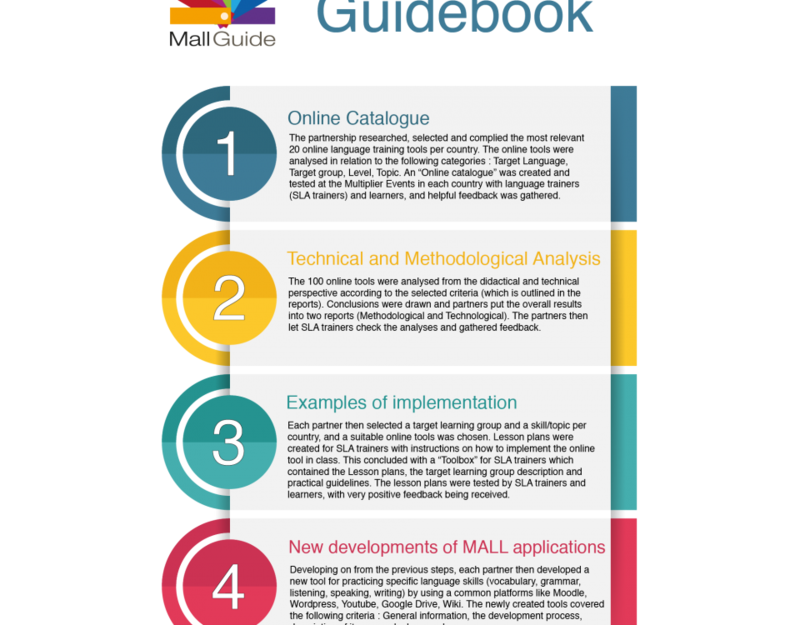 This project aims to solve these problems by creating a reference guide for language trainers that will help them to acquire or improve their ICT skills. 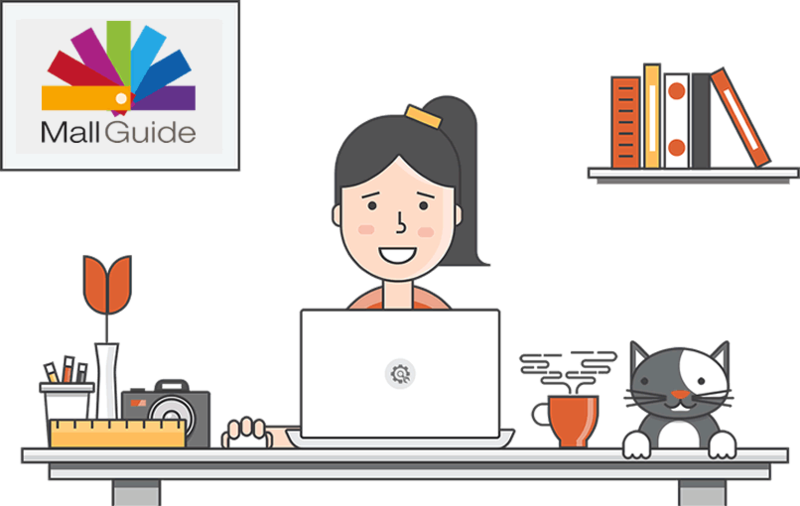 The guidebook will show language trainers in a simple and understandable way how to effectively apply modern technology in their training thus providing a more diverse range of learning options. 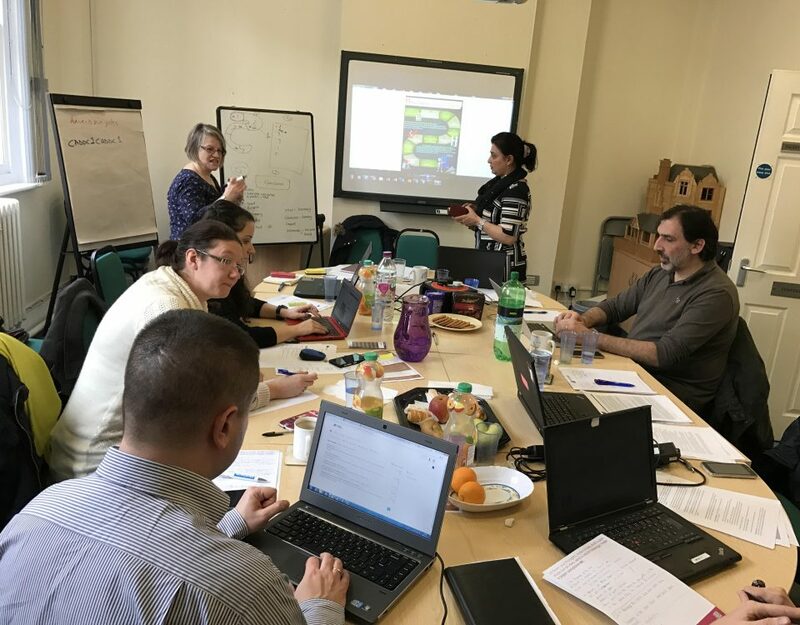 Although the project is targeted mainly at Second Language Acquisition (SLA) adult education trainers, its results may also be used by other language teachers and trainers, language learners and education institutions. Whilst the project will create/ transfer specific language training tools, its main goal is to convince language trainers to use new and innovative teaching methods which are adapted to the needs of the learners and the different teaching situations. 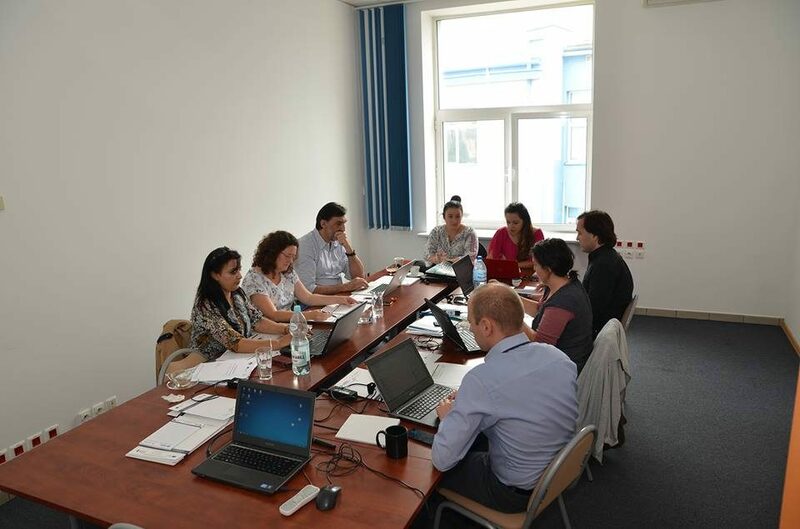 As a result of the project, trainers will acquire new skills for creating more flexible training strategies based on the usage of digital learning tools. This will be a valuable addition to their skill set and enhance options for career development. An online guidebook made up of all aforementioned results and a new section for links with interesting practical information for trainers. Iberika Group, based in the centre of Berlin since 1996, is a private non-profit education provider with many years of experience in language teaching and European projects management. Its main purpose is to promote education, international attitude and tolerance in all fields of culture and in order to do this it organizes and implements courses, seminars, workshops, meetings, exhibitions, performances and public discussions in the areas of new teaching/ learning methods, motivation strategies for trainers and learners as well as development and inclusion of extra-curricular aspects, such as anti-bullying strategies. One of its pillars is the development and implementation of new language tendencies and technology based curricula. Iberika has been involved in European projects since 2007 and its staff is familiar with the development, implementation and dissemination of funded projects. Iberika has ten experienced multilingual full-time staff who works alongside thirty to fifty highly qualified language trainers. Iberika was established with an intercultural focus on the languages and cultures of the Iberian peninsula (Spanish, Portuguese, Catalan, Basque and Galician) before expanding to English, French, Dutch and German. Iberika offers intensive language courses based on the European reference framework for languages that take place in small groups. The courses are tutored exclusively by native speakers, who are able to communicate engagingly about their culture of origin. Its language courses are therefore never simply theoretical, but on the contrary varied and lively learner experiences. Students often play games, listen to music and even taste typical regional specialties during sessions. Iberika is regularly updating and improving its curricula in line with new trends such as online systems, blended learning solutions and courses based on social media tools. Danmar Computers LLC is a private company operating in the field of Information Technology and providing vocational training in this field. Danmar has an extensive experience in developing modern Web and mobile applications that are used for educational purposes. Danmar also has long-term experience of carrying out European projects within which company’s R&D staff conducts research and prepares trainings tailored to the needs of various learners. During 15 years, Danmar has successfully implemented over 50 projects within Grundtvig, Leonardo da Vinci, Progress and recently Erasmus+. In many of these projects Danmar was responsible for designing and coordinating dissemination strategies. Danmar Computers is the developer and provider of AdminProject (adminproject.eu), the on-line system for management of European projects. All activities of the company are based on wide and well-established cooperation network, both on national and international levels. The national networks include training and counselling institutions, universities, schools, non-governmental organisations as well as private sector companies. International network include partners of various profiles coming from every European Union’s country. Danmar Computer’s mission is the promotion of life-long education and assurance of equal access to education for everyone with the use of modern technology. RUNI was founded in 1996 in the capital of Bulgaria, Sofia and in 2007 was re-registered in Center RUNI EOOD. It offers good conditions and professionals in different spheres of education. The activities are in three main fields – formal education, non-formal education and working on national and international projects. The main goals of our work aregaining knowledge, social skills and qualities, which help people adapt to the dynamics of social changes and nowadays requirements. In order to achieve these goals RUNI Center applies modern and effective working methods, such as: training by co-experience and educational games, role playing games, simulations with feedback, visualizing, discussions, brainstorming, researches and others. The activities of RUNI Center aimed at forming creative thinking and developing social skills and personal qualities. In the center of all activities are partnership and team work. This way of work achieves tolerance and cooperation, effective communications and constructive decision making, successful conflict management, provides support and emotional acceptance for the students as well as reduces their fear of failure. - Entrepreneurship counseling and mentoring with special focus on unemployed and women. Active Citizens Partnership has offices in Athens and in Sapes at the region of East Macedonia and Thrace and implements programs throughout Greece. The activities at a local level provide the base of expertise to engage in a range of European trans-national projects. In recent years we have engaged in projects funded through Erasmus+, Europe for Citizens, European Social Fund, Lifelong Learning Programme and Youth in Action. We are accredited for EVS as a host and send organisation, have been active in the field of senior volunteering, led on large scale projects around language interpreting and migration, as well as being a partner in projects supporting youth, adults and people with disabilities into employment and the innovative use of technology to support language learning. 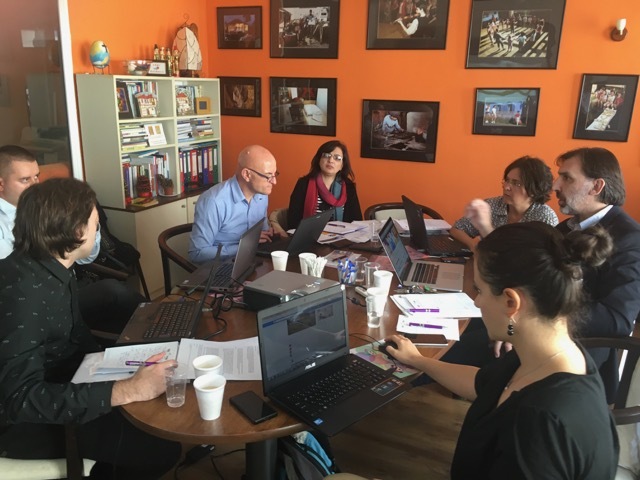 The EU’s Generativity project (Generativity.eu) is developing online tuition to help people generate and manage effective European projects using Project Management (PCM) approaches. How important do you think this is?